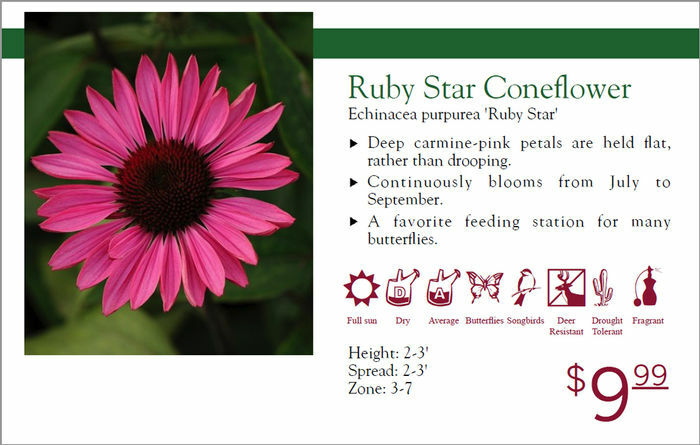 Custom Bench Cards that are generated on-line, into a PDF file from the Willoway Plant Database. Catalog Wizard® for Catalogs from Databases. Detailed plant library of the products they offer. It includes botanical information and images before login plus pricing and availability after login. The ability (post login) for customers to create and modify plant bench cards. They can add their logo, price and change the description if they like. Cards are available in 5"x7" and 7"x11" sizes. 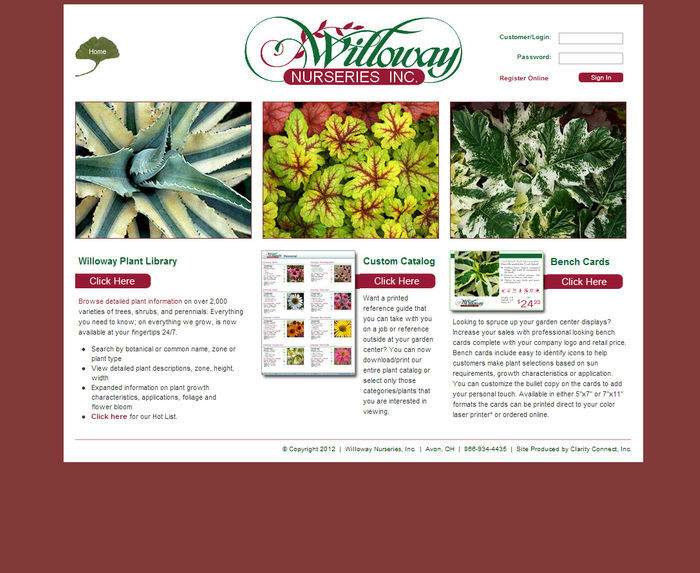 Our Catalog Wizard™ functionality allows their customers, post login, to generate catalog pages for plants they are interested in. They can select from one ore more plant types and further limit by sun exposure requirements, or they can just generate lists by selecting one or more genus. There are four different catalog page styles they can select from. This flexibility allows them to get the plants they want to promote in the format that works best for them.